One of the biggest dilemmas to overcome as an RVer is towing. While buying a motorhome is nice, it’s not always the most economical or practical solution out there. When comparing motorhomes versus trailers, one of the biggest complaints about the former is that you can’t always take a motorhome everywhere. 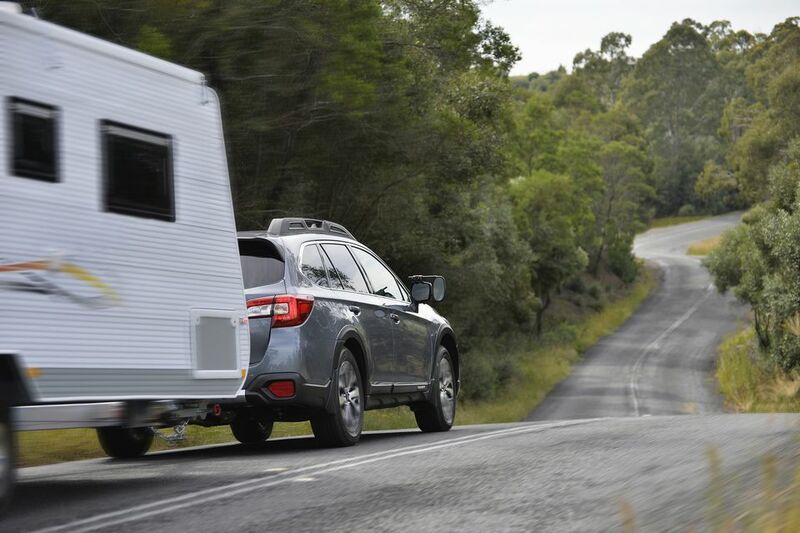 When you tow, you can disconnect from your trailer and hit the road in your towing vehicle. Towing can be a difficult obstacle to overcome, even for a confident driver. Here are tips, tricks, and more when learning how to tow a 5th wheel RV, travel trailer, or something smaller during your travels. What Types of RVs Can Be Towed? Everything from motorcycle trailers to travel trailers to 5th wheel RVs can be towed. You can tow large trailers to double-wide RVs depending on your towing vehicle. Towing vehicles range from cars to SUVs to heavy-duty pickup trucks. Depending on what you’re towing, your towing vehicle will change to accommodate the added weight of both the rig and what you load in it. Your towing vehicle depends on the RV or trailer you’re towing. You need to make sure you meet the Gross Vehicle Weight Rating (GVWR) before hitting the road, otherwise, you may cause an accident, damage to your vehicle or RV, or worse. The GVWR refers to the total amount of weight you’re towing, including a loaded RV, passengers, anything you tow behind your RV. You need a towing vehicle that handles the GVWR to tow. Pro tip: When buying an RV, make sure you know whether your current vehicle can tow it or not. If not, you will need to invest in a towing vehicle that can before you even take it home. The most important aspect of towing isn’t towing itself. It’s patience and the ability the adapt. Road conditions change every second you’re towing. You must be able to adjust when necessary. If you can’t, you shouldn’t be towing. Towing is hard, but once you get used to it, it comes as second nature. The right attitude when learning how to tow is the key to learning how to maneuver a trailer or RV on and off the road, no matter where you travel. Always remember you need extra room when turning a trailer when making right turns. This will depend on the length of the RV itself, the hitch you have and how tight you try to take the turn. Some RVs come with brakes. Learn how to use the brakes with your RV to ensure when you come to a stop your RV does, too. This is important when you make sudden stops. When braking, double the traditional two-second rule. The bigger the RV you tow, the more space you want between you and the car ahead of you to compensate for the weight of the trailer as you brake. If you’re experiencing any trailer sway, you want to pull over to the side of the road and inspect your hitch setup. While some sway is acceptable and common, if you find the trailer or RV out of control, something is wrong and needs to be corrected for safe towing. Consider doubling up on safety chains for added protection from sway. When backing up an RV, take it slow and steady. Use a spotter if available. Take your time and adjust to park correctly. Depending on the width of your trailer or RV, invest in extra wide mirrors for your towing vehicle. This will give you a better view and cut blind spots when towing. Pro tip: Consider taking an RV towing class before investing in a travel trailer or other RV. By taking the class at a local dealership, you will discover whether towing is right for you or if you need to consider a motorhome for your travels. Practicing towing is the most effective way to learn how to tow. Many dealers offer classes on how to get start towing. You can also find private classes in states where RVing is the most popular. Taking a class can help you get over the initial fear of towing. If you have no one who can help you out in the beginning. Only by practicing towing can you get better and more comfortable with it.